Wish upon a star, or an Angel, or a snowflake, whatever, it’s Christmas! These Christmas Cinnamon Butter Bickies are really yummy and a great way of getting kids in the kitchen too. Traditional recipe and method first and Thermomix one at the bottom (scroll down). Makes about 25 depending on the size of your cookie cutters. Put butter, flour, cinnamon and sugar in a food processor and process until it forms breadcrumbs.Add the egg, milk and vanilla and mix until all combined. 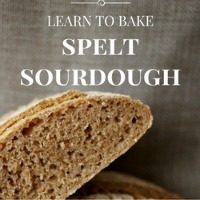 Flour a smooth flat surface ie your benchtop or use a silicon matt and turn out the dough. Knead until smooth and then divide in half and flatten. Wrap in plastic wrap and put in the fridge for at least half an hour to chill. Preheat the oven to 170 C and line 2 baking trays with baking paper. Using a rolling pin roll out the dough until about 1/2 cm thick. Using cookie cutters, cut out the shapes from the dough and place onto the prepared baking trays a couple of centimetres apart in case of spreading. Roll up any left over dough and roll out again and cut with cutters. You can either continue on and do the same with the other half of the dough or freeze that for another time you need bickies in a hurry! Bake in the oven for 12 – 15 minutes or until golden. Remove from oven and leave on tray to cool for 5 minutes and then transfer to a wire cooling rack to cool completely. Once cool decorate to your hearts content. Preheat oven to 170 C and line 2 baking trays with baking paper. Using a rolling pin roll out the dough until about 1/2 cm thick. Using cookie cutters, cut out the shapes from the dough and place onto the prepared baking trays a couple of centimetres apart in case of spreading. Roll up any left over dough and roll out again and cut with cutters. Bake in the oven for 12 - 15 minutes or until golden. Remove from oven and leave on tray to cool for 5 minutes and then transfer to a wire cooling rack to cool completely. These looks great and cinnamon is just the taste of Christmas, don’t you think? I love any recipe that puts my Christmas cookie cutters to good use! Hi there. Thank you yes I think it adds a Christmassy touch!